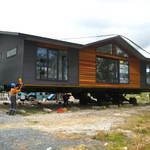 Buying a transportable home from Big River Homes ensures that your new home is built by the best people for the job, using the best materials available. On top of this, you can save thousands over a traditional on-site build, and get into your new home faster. 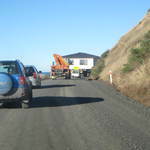 Because our houses are built in our Balclutha yard you don't need to cover the cost of transporting builders, equipment, contractors and materials to your new section every day. Our general manager is on site every day, and conducts regular inspections of every home being built, ensuring they all maintain our high standards. 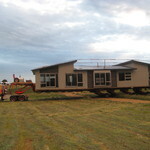 Because we have several houses being built at any one time, we are far more likely to have expert builders, plumbers, electricians and other tradespeople on site to provide assistance when needed. 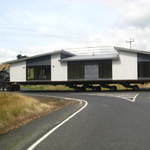 We offer total flexibility when designing your new home. 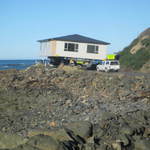 Whether you want a bigger living area, an extra toilet, an attached garage, or even a second storey, we can modify our plans to accommodate your needs. 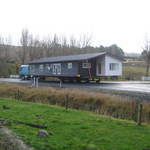 Your new home can be transported almost anywhere in the South Island, so whether you're looking to build a new family home in Dunedin, or Christchurch, or wanting to create your dream holiday home or bach in Queenstown or Wanaka, we can help. 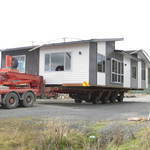 If you'd like to further discuss the benefits of a custom built transportable home with Big River Homes, please feel free to contact us. 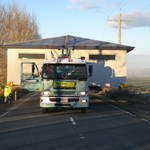 State of the art house removal machinery and equipment are paramount to a professional shift. 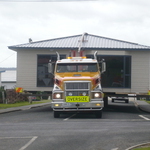 Below is a small selection of shots of our homes on the move!